As I wrote in the previous post, I went to Glasgow for a couple of days in November. The morning after I flew back, I managed to get myself out of my bed and on a train to Rotterdam, only because I was very excited about filming this session with the Canadian band Elephant Stone. We met once before during Into The Great Wide Open, when Elephant Stone played on the stage in the woods directly after Onder Invloed’s live sessions, but I would not have expected singer Rishi Dhir to remember that short hello, years later. He did. I wish I had a memory like that, but anyway. Earlier in 2016, the band released their fourth LP Ship Of Fools on Burger Records. A record that again, shows the growth and development of the band from Montreal, as any great record should, perhaps. The songs sometimes have a very catchy groove, you could easily dance to it – if dancing’s something you enjoy doing – but just as well sit and listen on your headphones. Dhir’s lyrics never disappoint, nor does the rest of the band. Knowing their previous records, you can’t be surprised anymore by how good Elephant Stone are, but it’s still very impressive. After many listens, I still feel like there are lots of things to discover in the record they recorded with Marcus Paquin (Arcade Fire, The National, Local Natives). 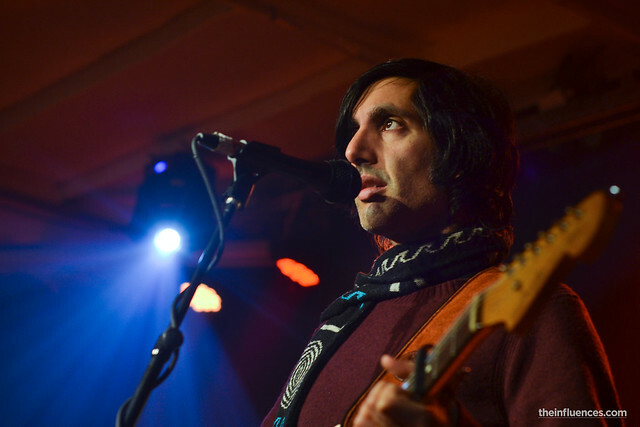 After the band recorded Silence Can Say So Much on the V11 boat in Rotterdam, Dhir – who’s also played and recorded with other bands like Beck and The Black Angels (Alex Maas is featured on The Devil’s Shelter) – picked up the electric guitar for a solo cover of Big Star’s Thirteen. Elephant Stone are currently on tour in Canada and will be playing some shows in the United Kingdom in May. Click here for all dates.